Today’s post comes from guest blogger Christie Schuessler. Christie is a member of Bourbon Women Chicago and writes her own blog Ladies Who Brew. 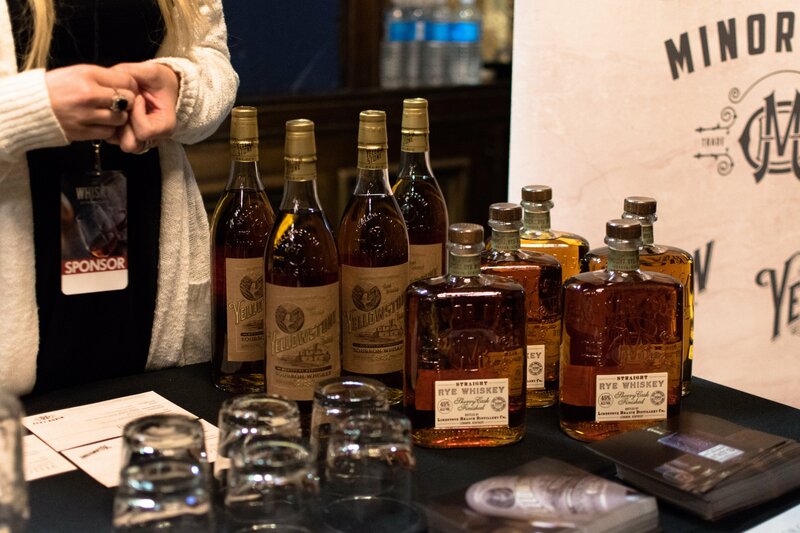 The Who, What, When, Where, and Why of Chicago’s 2017 Whisky Extravaganza. Giving back to the community is part of my personality, I love volunteering at local charity events. Volunteering at The Whisky Extravaganza Chicago 2017 was a bit different because there was no charitable organization tied to the festivities. The Whisky Extravaganza goes from city to city relying upon a group of volunteers to staff the event. In return, the volunteer gets entry to the last hour or so of the event. So what’s it like to volunteer at The Whisky Extravaganza? Volunteering at The Whisky Extravaganza 2017 was a perfect way to get access to an event which I normally would not attend as a guest. My goal for a great night out is often tied to great company and food/drink in moderation. The Whisky Extravaganza is an event with food and great drinks in excess. It’s just a different kind of event than what I usually seek out. As a volunteer, I was able to attend the event as a guest for the last hour to hour and a half. It was a wonderful way to end the evening of volunteering. First, this event is not catered towards whisk(e)y lovers. It was a much more posh event geared toward networking, trying a few whiskies and even being seen. The guests appeared to be mostly couples and business acquaintances. Volunteers for the event in 2017 were young professionals who came individually or in a pair. Most had a connection to the alcohol industry or are whiskey enthusiasts. I worked with a core group of four volunteers and one staff member. We were a fun crew: a tall and suave owner of a boozy event company, a sweet professional looking to meet people, a professional who bartends on the weekends looking to learn more and me, a blogger. We worked registration and scanned tickets for the event and the masterclass. Some of the other volunteers were handing out glasses as people walked in, others set up the masterclass. The Whisky Extravaganza is a walk-around tasting with dozens of spirits vendors. I described the food as high-class bar food and it was plentiful. There was also an hour-long “Masterclass” with guest lectures. The seminars were about Scottish whisky and included an impressive blind whisky tasting. The nature, venue, and atmosphere of the event meant many people were there with business colleagues, friends and spouses. Club members of the venue were in attendance as well. I’m guessing some high-powered deals went on in that setting, or were at least discussed. 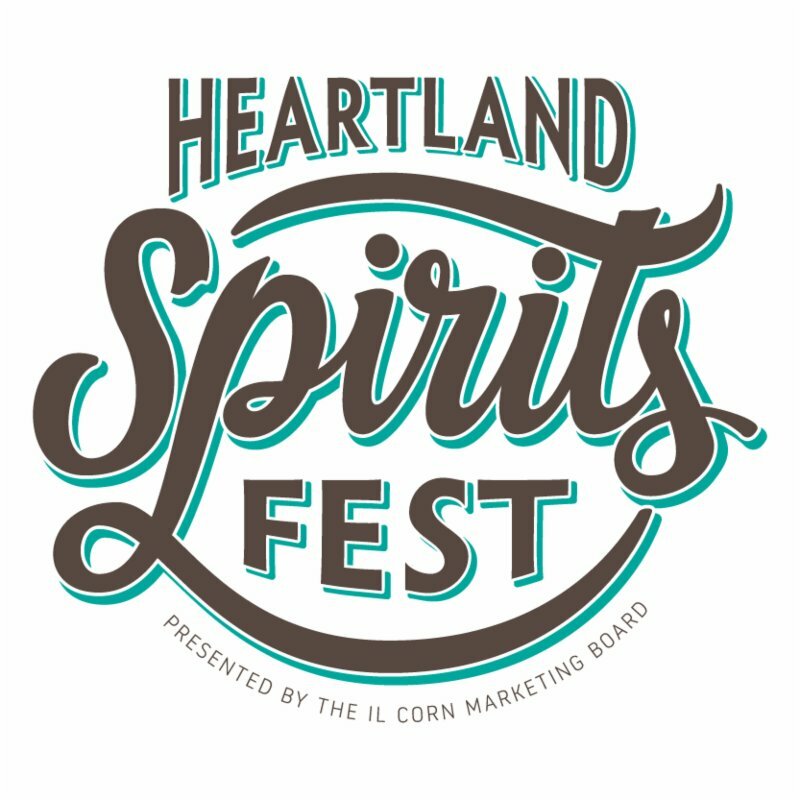 The distilleries represented were national sponsors of the event, the only home-grown Chicagoland based distillery I saw was FEW Spirits from Evanston. 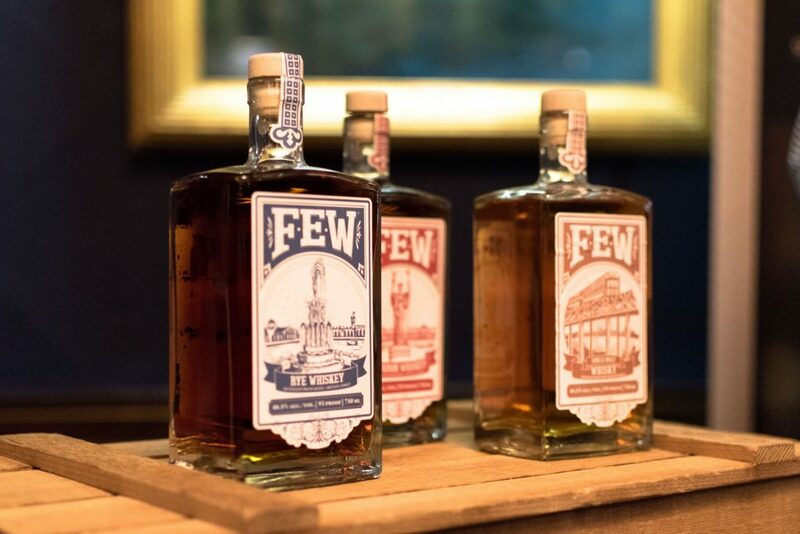 FEW Spirits is part of Samson and Surrey spirit collective and its Director of Brand Advocacy was one of the Masterclass hosts. This event is unlike others I’ve been to in the whiskey world. There was a jazz duo performing during the evening, hand shaken cocktails (about six to choose from with fun names) and enormous amounts of food. 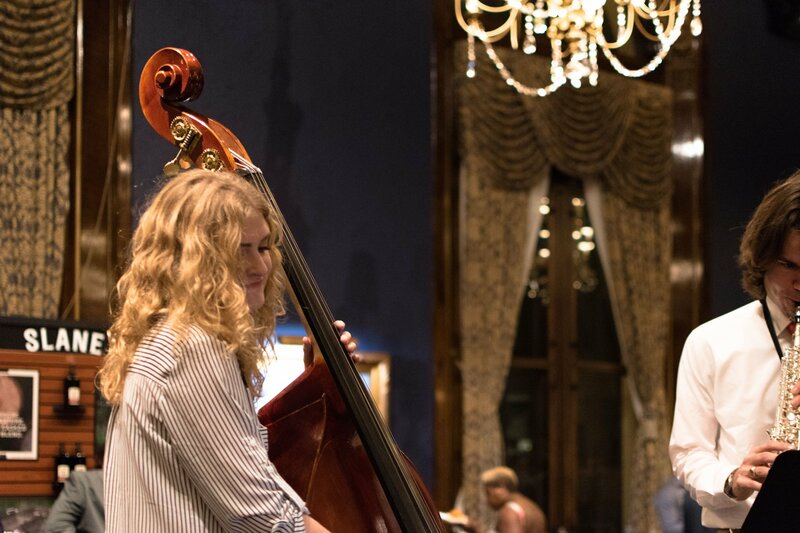 The ballroom has chandeliers, art adorns every corner of the space, and there are great sitting areas to relax and chat. BIGGS Mansion, from Chicago’s Gold Coast, shared cigars with attendees to round out the premium vibe. 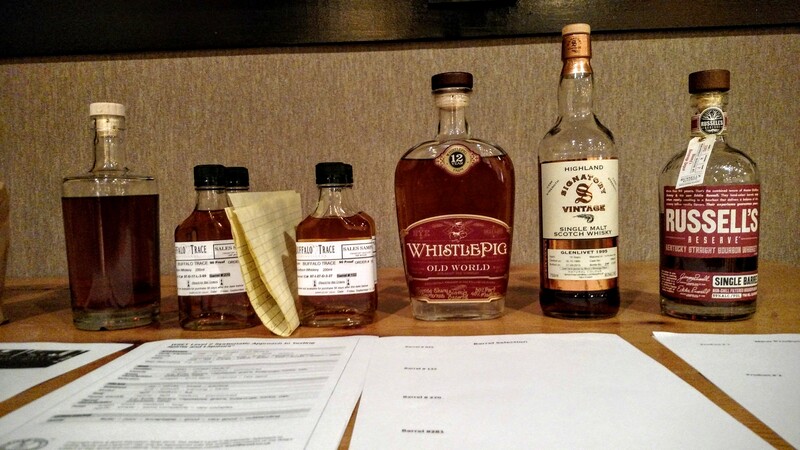 At $150 a ticket, this is an event for networking as much as tasting whiskey. An annual Fall event, The Whisky Extravaganza took place on Thursday, October 12, 2017. Volunteers can sign up year-round, and I did in early September. I received a confirmation back right away with contact information from the volunteer manager and social media links to follow the event. If you’re volunteering at an event, my tip is to always write details in your calendar right away when you sign up to volunteer. It may be just a week or two before the event that you get final logistic details so having that reminder is important to keep from overbooking yourself. About a week before the event we received a note from the volunteer manager sharing a few more details. Two days and one day before the event the volunteer manager sent out reminders, specifically highlighting the clothing expectations of the venue (business casual with suits jackets for men). She also provided us an FAQ, highlighting the expectations that we not drink until we turned in our volunteer badge and signed out. Doors to the main room of the event opened at 7:00 PM and many people had arrived early. The Masterclass started at 6:00, though several people arrived early for that as well. Both of the classes were at capacity, doors closed and the classes began at 6:05 PM. By the close of the event at 10:00 PM, the representatives from the whiskey vendors were ready to go. A few of the staff of these companies or distilleries were by themselves and ‘on’ all night. At ten, a few people were sipping cocktails and enjoying friends but most people had left. 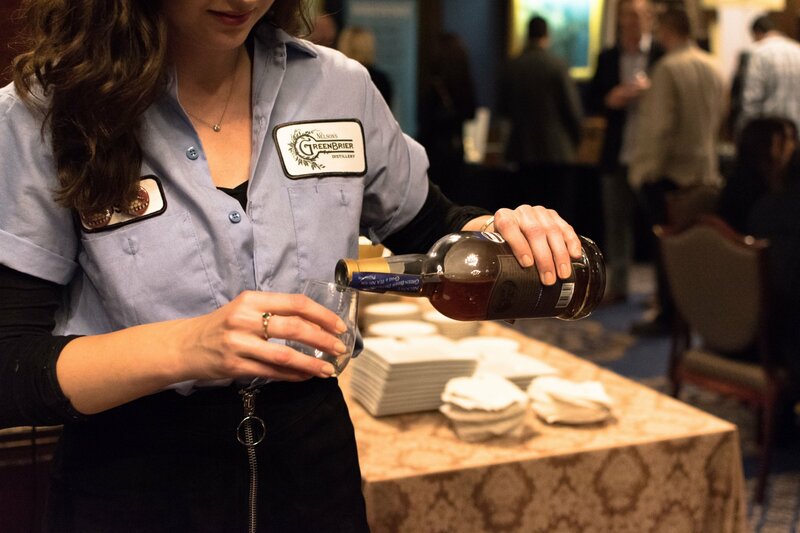 The Union League Club of Chicago hosted the The Whisky Extravaganza Chicago 2017. Chicago is just one city in a national tour of The Whisky Extravaganza, the event was held in the gorgeous sixth floor ballroom space. As one might expect, there was some minor getting to know the space and figuring out where the restrooms were and the like. A mini-headache the staff encountered were several guests who had not adhered to the Club’s request that men wear blazers and no jeans. If you attend a classy whisky event in the future be sure to review the dress code! The opportunity to attend The Whisky Extravaganza was fun and rewarding. I saw a few people I had met in the past at other events (mostly representatives of sponsoring companies). I usually leave a volunteering event with a new friend and ideas of future events to be involved in. The opportunity to volunteer was perfect for me. I was able to spend the evening mostly helping but the last hour I was free to be a guest. This amount of time was exactly enough to try some whiskey and say hi to a few people. I have another event under my belt as a volunteer that may be helpful in building my resume or making connections in the future. This event wasn’t really for the whiskey enthusiast as much as for someone who wanted to learn something new, be seen out, or network. 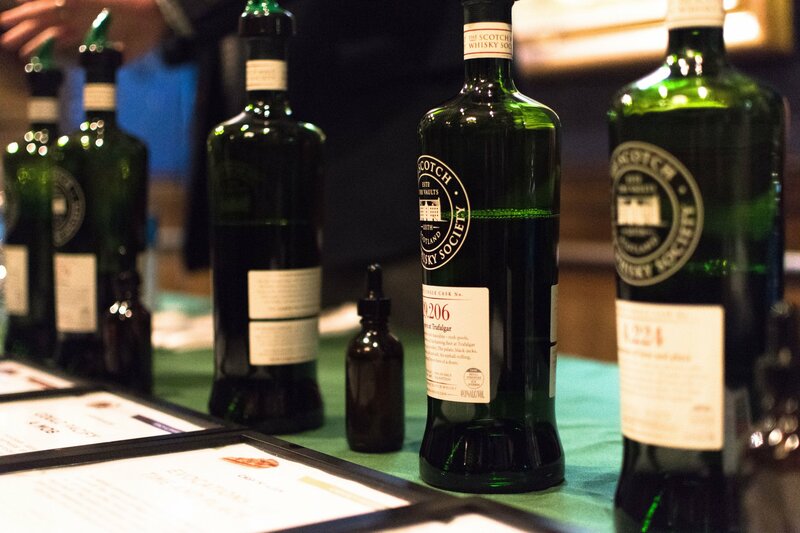 Only one sponsor, the Scotch Malt Whiskey Society, had unique or hard to find spirits that evening that are typically only available to their club members. At the same time, the representatives from each company were great, the masterclass hosts were top-notch and the venue was lovely. There was an emphasis on Scottish whisky but having a French whiskey (Brenne), several Irish whiskeys (Slane and Hyde), a few American whiskeys (Jack Daniel’s), and some Bourbons rounded out the bunch. 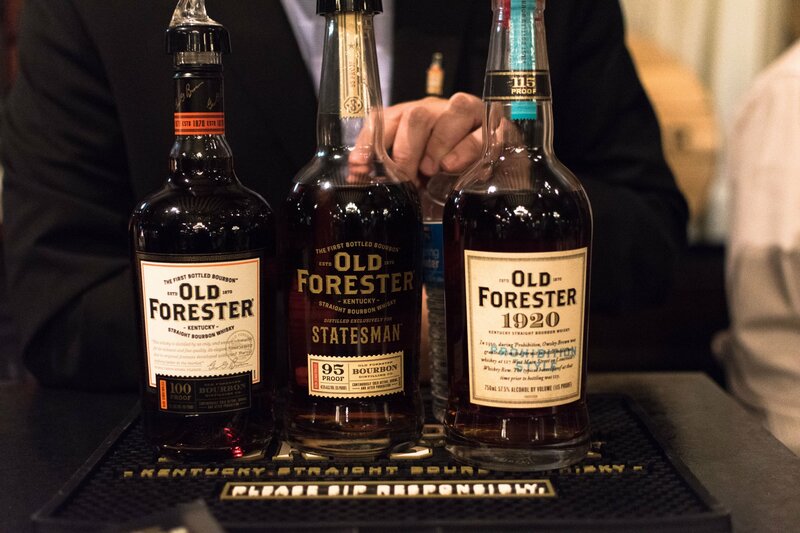 Brown-Forman represented the bourbon category at the 2016 Chicago event with Woodford Reserve and Old Forester. This year it was nice to see them again as well as other large brands like Yellowstone from Limestone Branch. 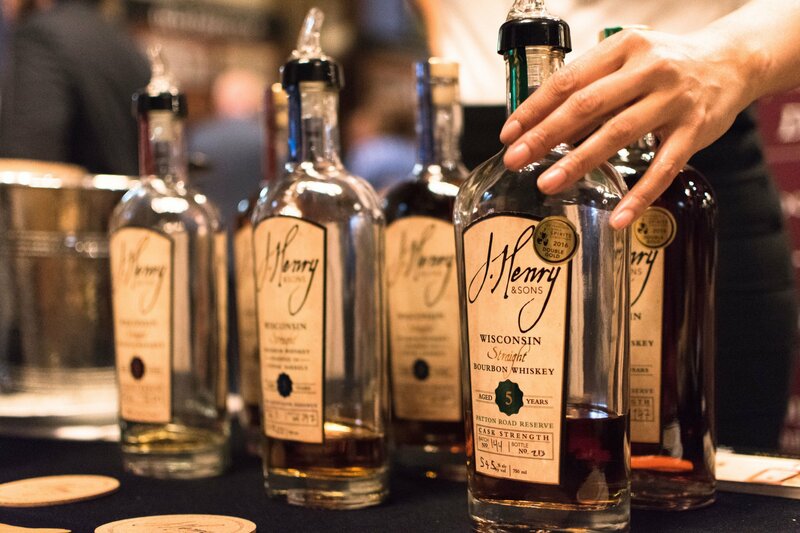 Craft producers added an excellent aspect this year with bourbon from FEW Spirits, J. Henry, and Belle Meade. I’m so glad I went and met the people I did. I would volunteer again with this group and hope to welcome them back to Chicago in 2018! Christie enjoys volunteering at festivals and getting exposure in the Chicago bartending/foodie scene. She is a member of Bourbon Women Chicago and has a background in nonprofit work and event planning. She's loves to read and write especially about travel, food, and spirits. 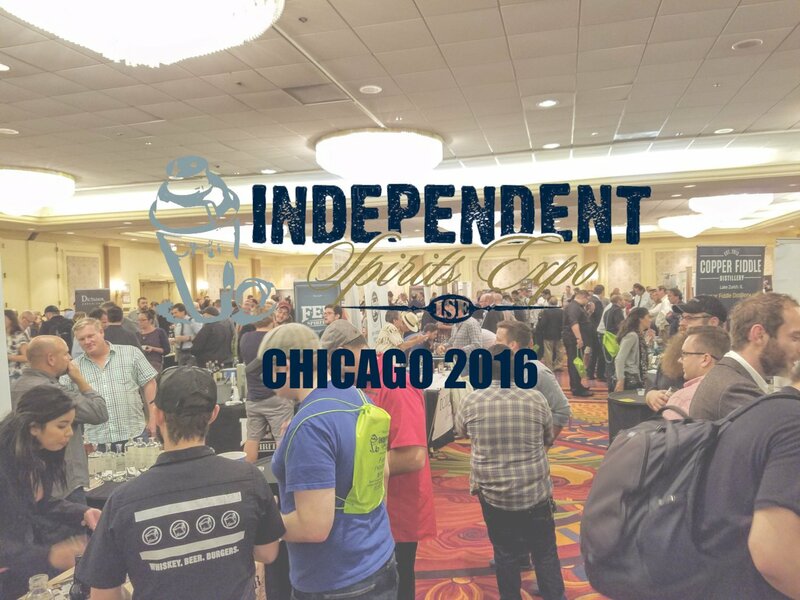 2016 Chicago Independent Spirits Expo Recap!